I have this app that I use to record my path of travel when I drive. And really, I think there is wisdom in this — and it’s something we should all be doing daily. Taking a moment to just breathe. Releasing all our troubling thoughts. And contemplating the wonder of the world. 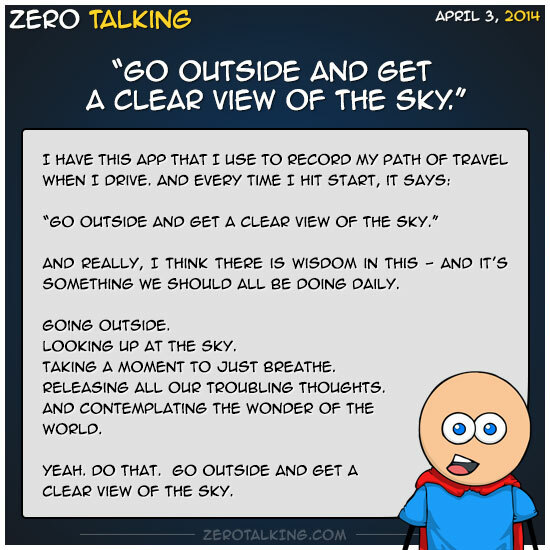 Go outside and get a clear view of the sky.